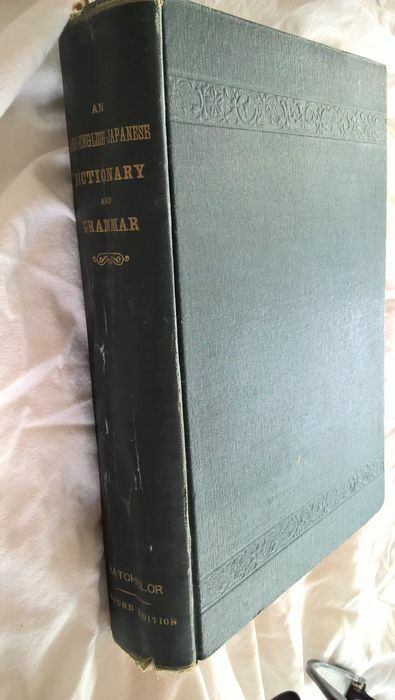 BATCHELOR, J., An Ainu-English-Japanese Dictionary. 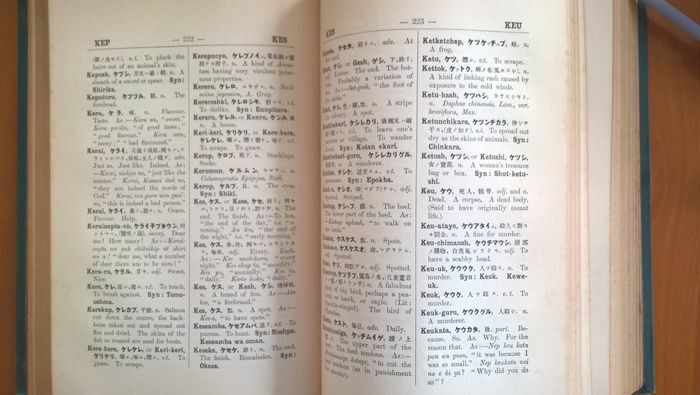 Including a Grammar of the Ainu Language, Tokyo 1905. Second Edition. Hard cover 22 x17 cm. Introduction 11 pages / Dictionary 525 pages / Grammar 160 pages. 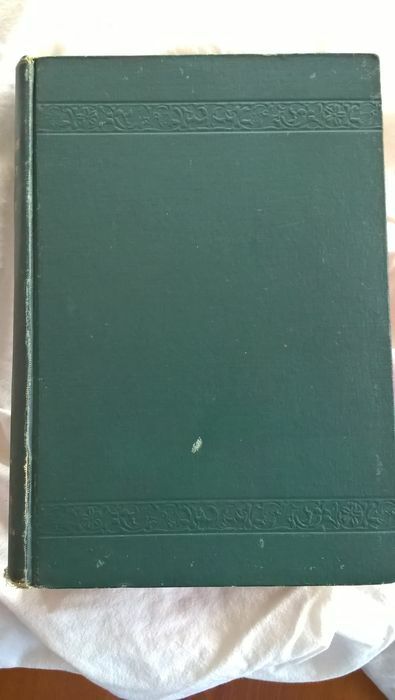 The green embossed covers are rubbed, spine with a few nicks. Gilt lettering to spine. The pages are light tan in colour. Good copy.